Based on the reviews on Amazon.com (yes, they sell it there) I doubt we'll be trying it. However I have to give them an A for effort. 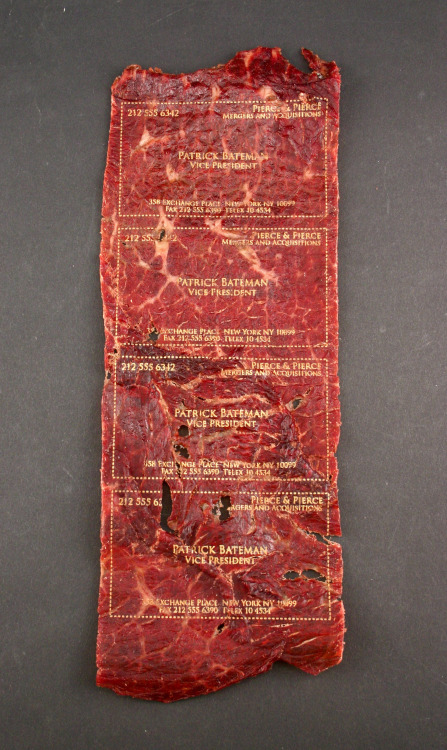 Just in case you have a hankering to have some business cards printed on beef jerky. Here ya go. Saw this over at the Texas BBQ Posse's blog and thought I'd help them spread it around. You can vote once per day. They have a list of 26 to choose from but you can add others via the comments section. Late in 2012 I had the fortune of previewing The Salt Lick Cookbook. 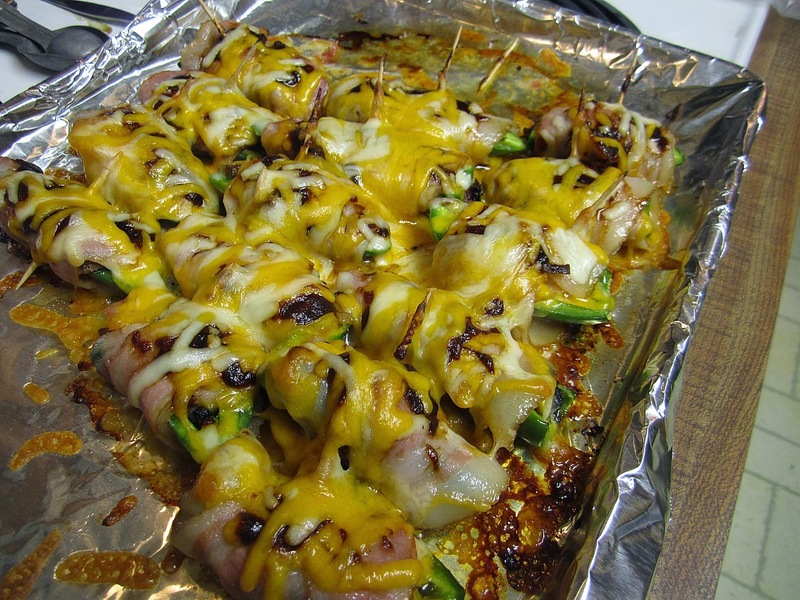 One of the recipes that jumped out at me at the time was the one for brisket poppers. 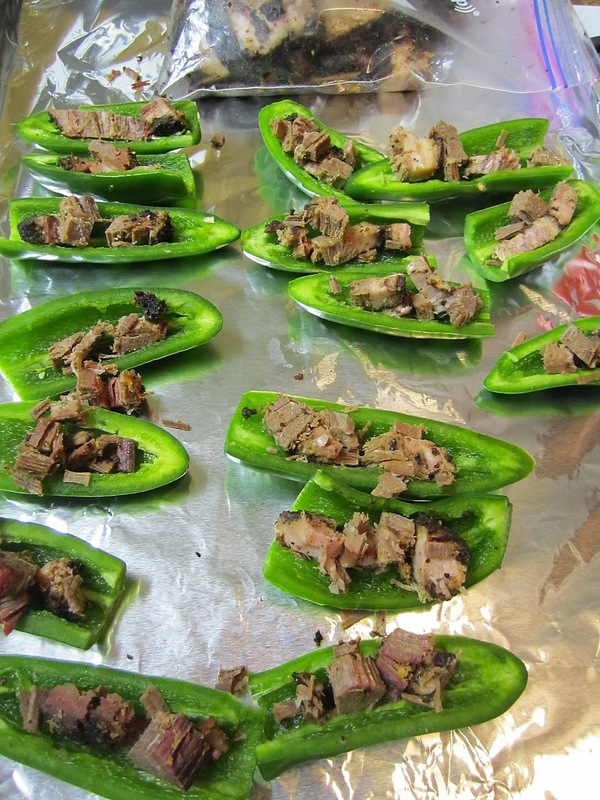 I've had lots of jalapeno poppers before, but the idea of adding brisket to the mix was just brilliant. Today I finally got around to doing it and I'm sorry I waited so long. I didn't use any recipe, instead I just sort of winged it. Turned out great! 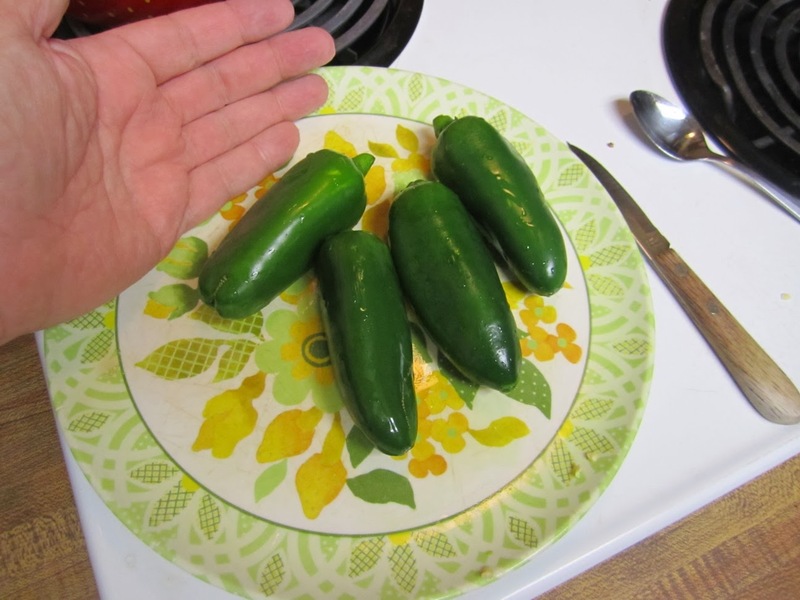 It all started when my Mrs came home with some giant jalapenos which she chopped up for her annual pepper jelly. I told her if she came across some more of those giants I wanted to try the brisket poppers. This weekend she found some. A few of them were almost 5 inches long. The first step is to slice the jalapenos in half and scoop out the seeds and pulp. Be sure to wear gloves, or you will be very sorry. After that I chopped up some of the wonderful Pecan Lodge brisket I had stored in the freezer as leftovers from Thanksgiving. I had to eat a bit of that as quality control. Quality confirmed! I added the chopped brisket to the peppers. Next step was to add cheese. 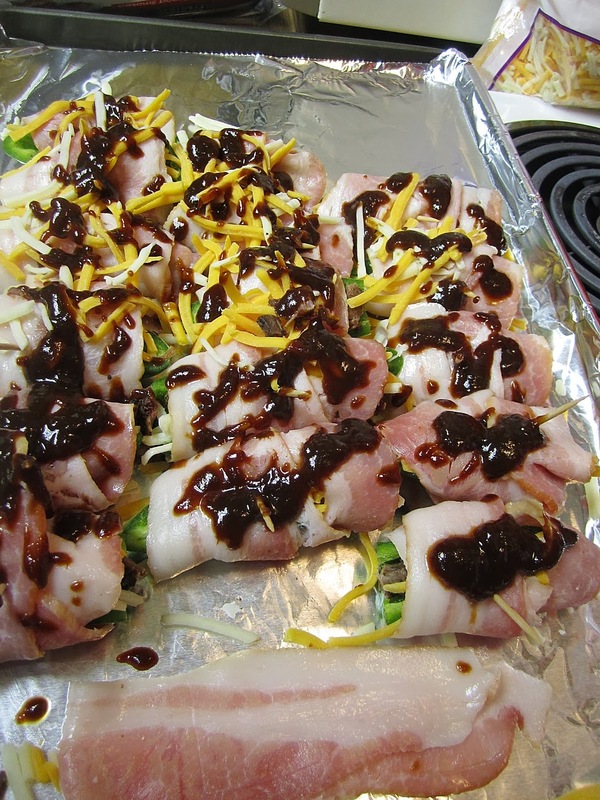 Then wrap in bacon. Mmmmm bacon! Pre-soak some toothpicks in water (so they won't burn) and secure bacon around the pepper. 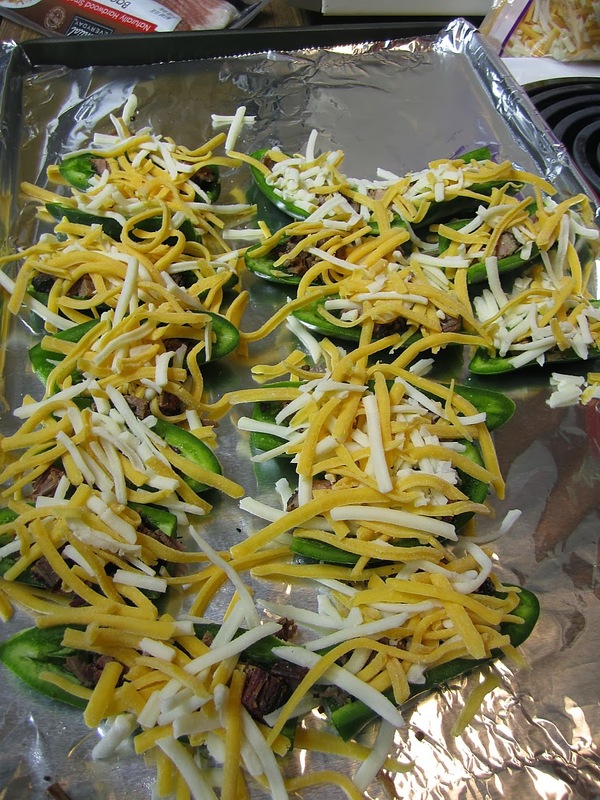 Then a small dab of Dr Pepper BBQ sauce on each pepper and cover the whole batch with some more cheese. Finally, into a preheated oven at 350 for 20 minutes. The result, a party in your mouth! The crispness and spiciness of the peppers mixed with the warm melted cheese, bacon and brisket, and the little bit of sweet from the DP sauce. We ate 'em all up.